Video (00:49) : Sarah McLellan recaps the 4-1 loss to the Stars in her Wild wrap-up. With only four games remaining on the schedule, it won’t be long before the Wild finalizes its future. 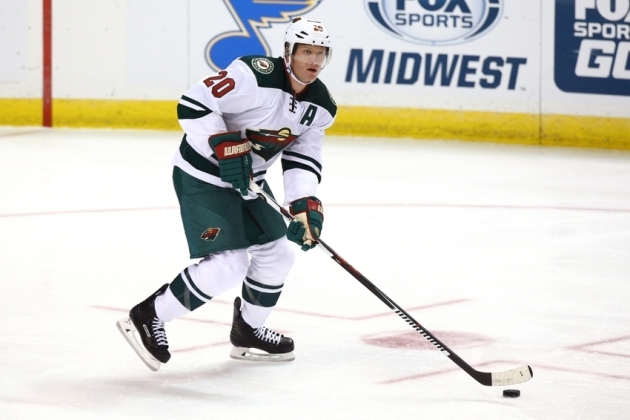 But whether or not defenseman Ryan Suter participates in this final push to the playoffs is unclear after Suter suffered a lower-body injury in the 4-1 loss to the Stars Saturday at American Airlines Center. Suter was injured late in the second period after his right foot slammed awkwardly into the boards following a hit from Stars winger Remi Elie. He had to be helped off the ice, as he appeared to be putting no weight on his right foot. Coach Bruce Boudreau didn’t have an update on Suter after the game. The Wild is off Sunday and will be back on the ice Monday for its final home game of the season against the Oilers. It wasn’t too long ago the team was in a similar position, as its other top-pairing defenseman Jared Spurgeon went down with a partially torn hamstring March 13. The Wild has been able to stay afloat without Spurgeon, who was expected to be out a minimum of a month, but having both blue liners sidelined for any period of time is a challenging setback – one, though, the Wild doesn’t want to derail it if that's the reality it faces. -This was the sixth straight game the Wild surrendered the first goal and although it had been successful in climbing out of those early deficits in the previous five games, going 2-0-3, it couldn’t persevere against the Stars Saturday. -Winger Zach Parise’s goal extended his point streak to six games, which ties his season high. Parise has 15 points in the last 18 games and one point in 18 of the last 26 games. -Special-teams play continued to be a factor. While a power-play goal chipped into the Wild’s deficit, it came after the Stars scored shorthanded.